It was an accidental spring fling six years ago—one week spent in the mountains of Big Sur and no one would be the wiser. Ignore the fact that Tobias James was my neighbor and best friend’s older brother. Or that upon our return his hoop dreams were waiting for him, robbing any potential future we could have shared. Now, I’m fulfilling my own dreams in L.A. as a professional dancer, and my biggest dream of all is about to come true. The last thing I expected was for my past and my present to collide. Not now. Not here. Not him. But he struts back into my life like he never even left. Unfortunately, I’ll never forget the way he did. 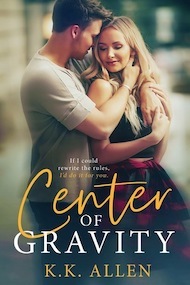 The ball is in my court, but Tobias isn’t below stealing—my power, my resolve, my heart… When he wants a second chance to reignite our connection, my answer is simple. We can’t. Not unless we defy the rules our dreams were built on and risk everything. 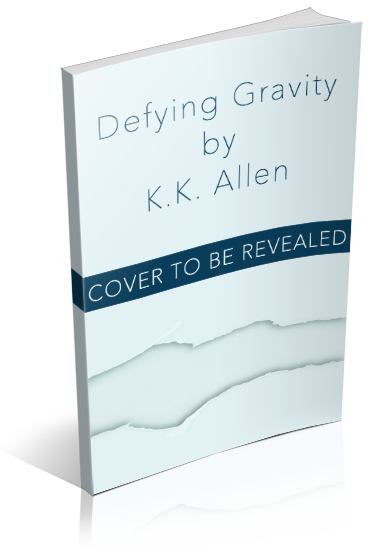 I am organizing a release week blitz for Defying Gravity by K.K. Allen, an Adult Contemporary Romance novel. The blitz will run from April 18th to April 22nd, 2019, you can post on any day during this window. There will be excerpts available for your post, and every participant will be able to post the blitz-wide giveaway if you wish – giveaway prize(s) courtesy of author. Social media sites are welcome. An email with the complete post info including promo items and giveaway details will be sent to all participants on April 15th.